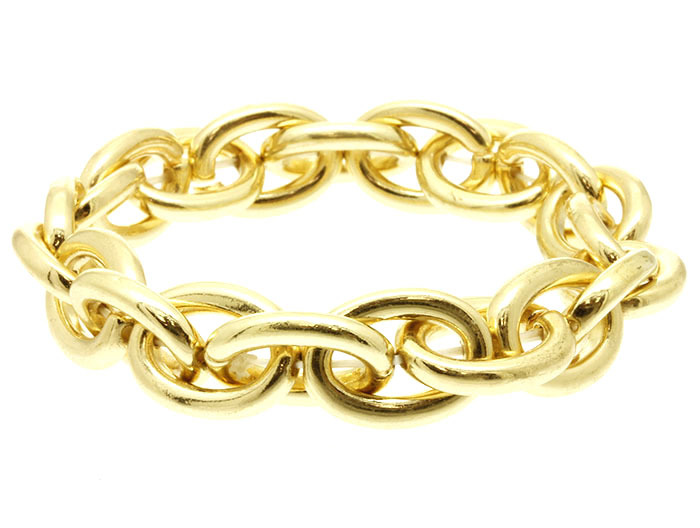 A chain bracelet staple. The Paola is designed for easy and everyday wear featuring an oval cable chain link in cast-gold on stretch. The must-have for your accessory assembly. Grab your favorite fashion accessorie whilst online jewellery shopping with us.